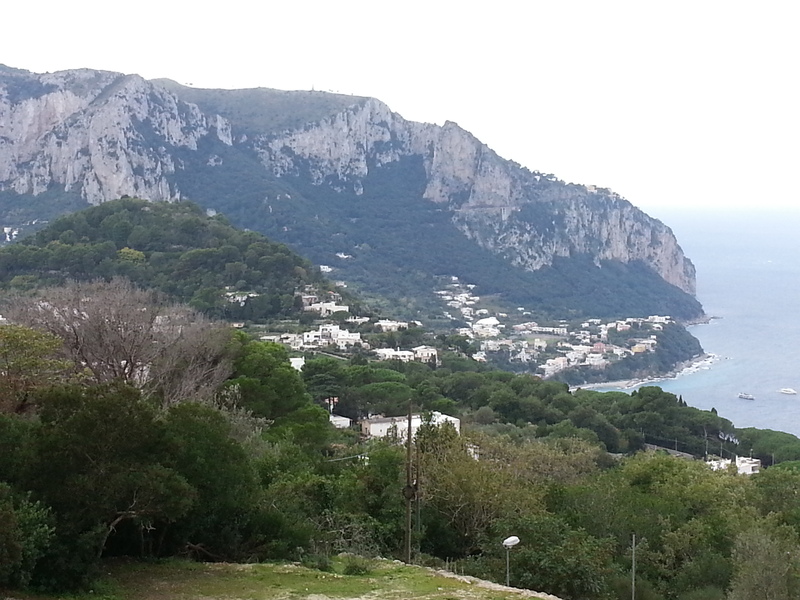 We enjoyed our time in Rome and are now in Capri for two nights. It is cloudy and rather cold here (19 deg Celsius), but from tomorrow on the sun should come back. The season is about to end here and it is rather quiet. We walked a lot around the island and visited a few of the sites, among them Villa Juno, where emperor Tiberius resided in the first century AD. After all the time with the grandchildren, we felt we deserved a holiday and have come to Rome for a few days. The weather is nice and we enjoy this old and busy city. 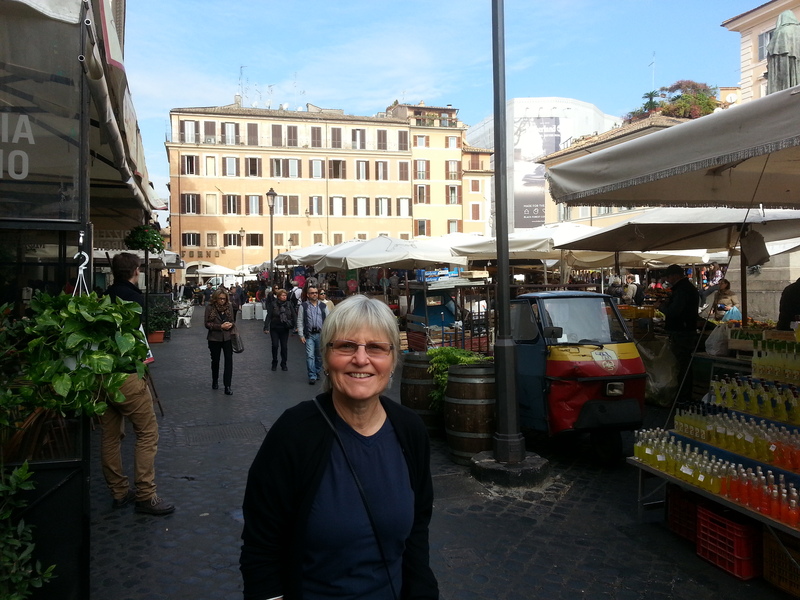 We are staying in a little apartment close to Campo di Fiori and spending the days walking around the sites, finishing off with nice Italian food in the evenings. Wir verbringen das Wochenende mit Freunden in Bad Schönborn, südlich von Heidelberg. Gestern haben wir mit Ute und Ralph ihre Silberhochzeit gefeiert, ganz toll. 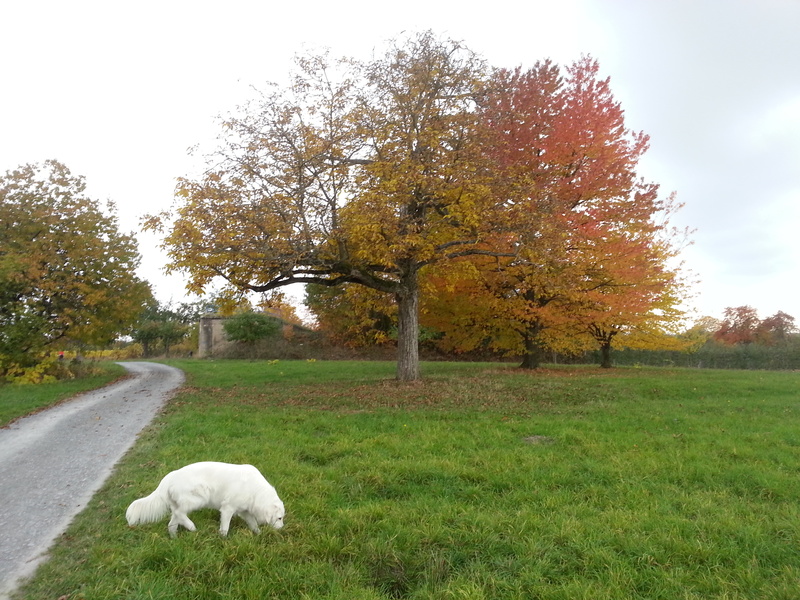 Heute war nach dem Gottesdienst Gelegenheit zu einem Spaziergang bei schönem herbstlichen Wetter mit einer wunderbaren Färbung der Bäume. 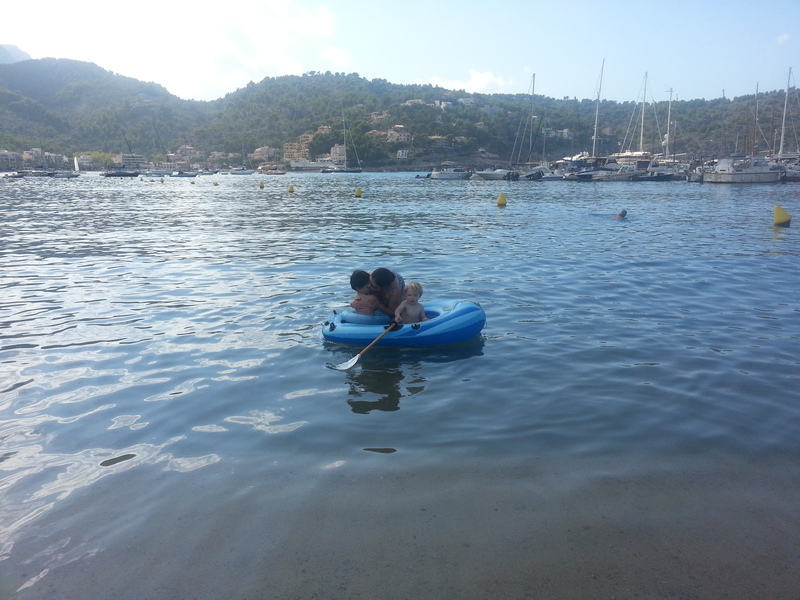 We are in Mallorca now for a bit of fun in the sun. 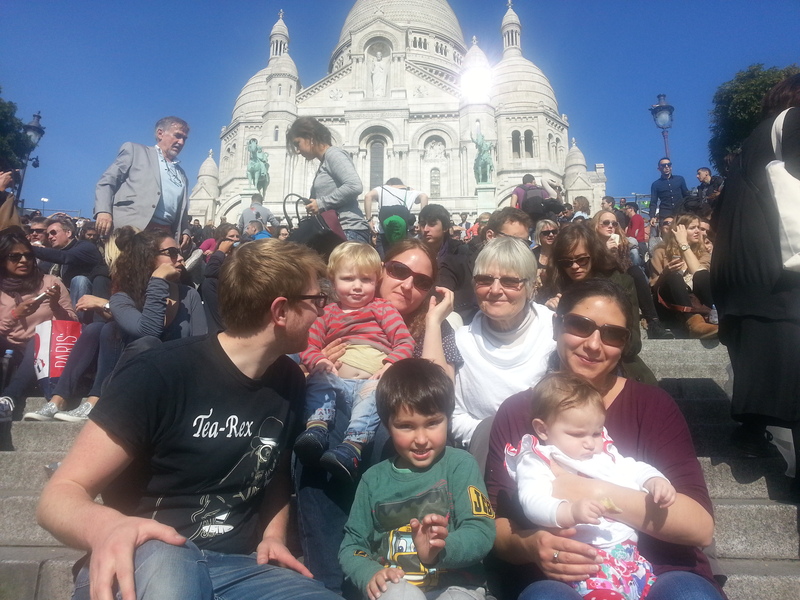 We all went from Manchester to Paris by train yesterday, and today Andrea joined us for a fun day in sunny Paris: A visit to Montmartre with champagne on the steps to Sacre Coeur and a busy afternoon in the Bois de Bologne. Now the kids are tired, the hotel has organised a babysitter, and the adults get to go out for dinner. 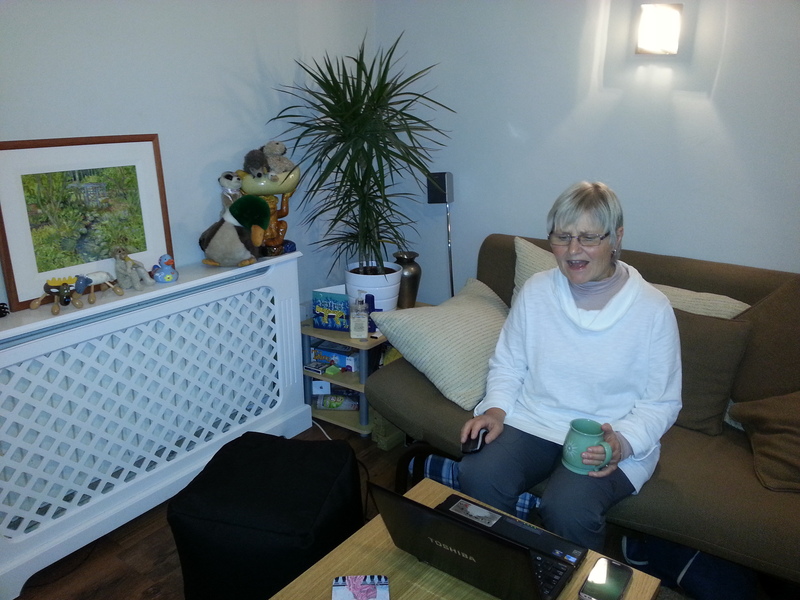 We are spending a few days in Manchester with Jessica, Alistair and the grandchildren. Great fun, and because of some renovations, we get to go out every evening. 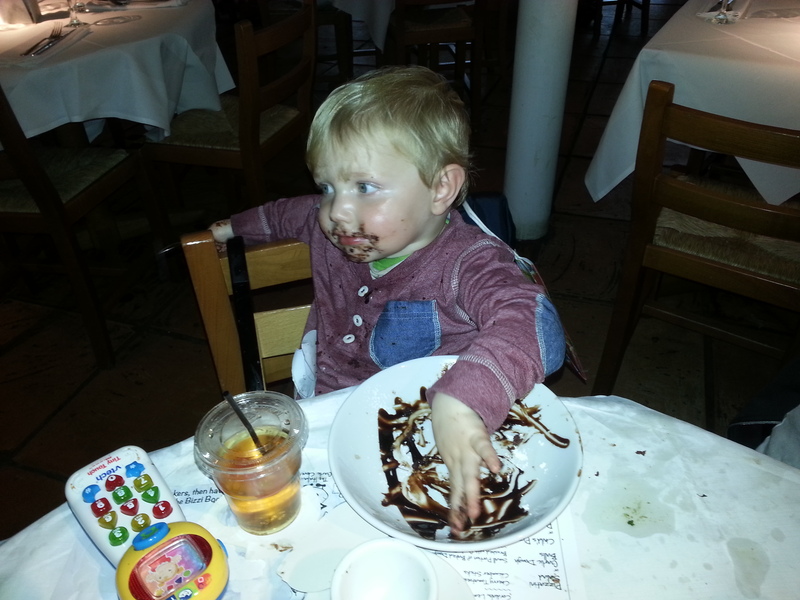 Max enjoyed the chocolate cake, we all enjoyed a couple nice dinners and are having a great time with the little ones. We flew to London yesterday and spent a nice evening with Andrea. Now we are recovering from our jet lag. 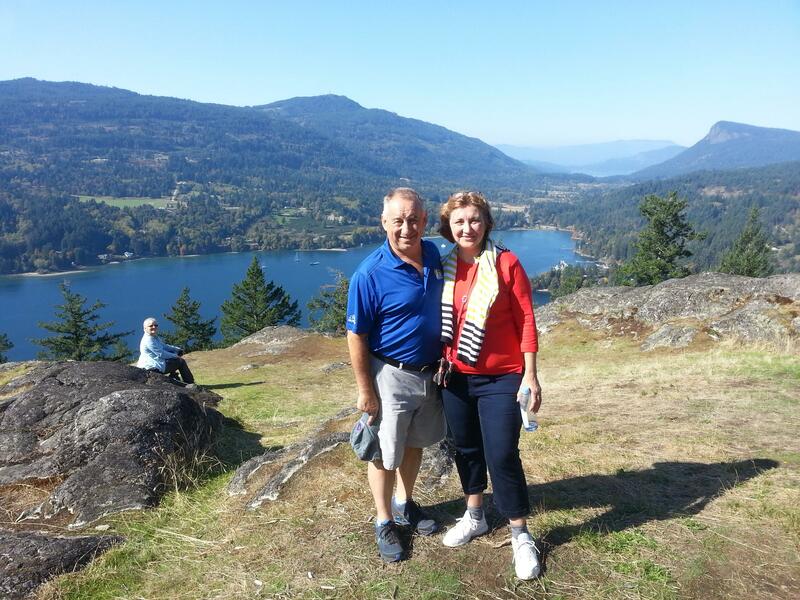 Dave and Darlene from Montreal are visiting for a few days and we are enjoying beautiful fall weather in the Southern Gulf Islands. Tomorrow we pack up the boat for the winter and on Monday we fly to Europe.